This mixture of borax and sugar is cheap and effective. Roaches are never welcome guests, and calling a pest control service is one way to get rid of them. But that's a costly approach, and it lathers your house with chemicals. If you want to save money and avoid chemicals, here's a homemade roach killer that will get the job done. All you need to make this roach killer is borax and granulated or powdered sugar. Borax is a naturally occurring mineral known as sodium tetraborate. It is an ingredient in many commercially made cleaners, cosmetics, and even some brands of toothpaste. It is sold to consumers as a white powder for use around the house. Mix up a batch of borax and sugar together in equal parts. 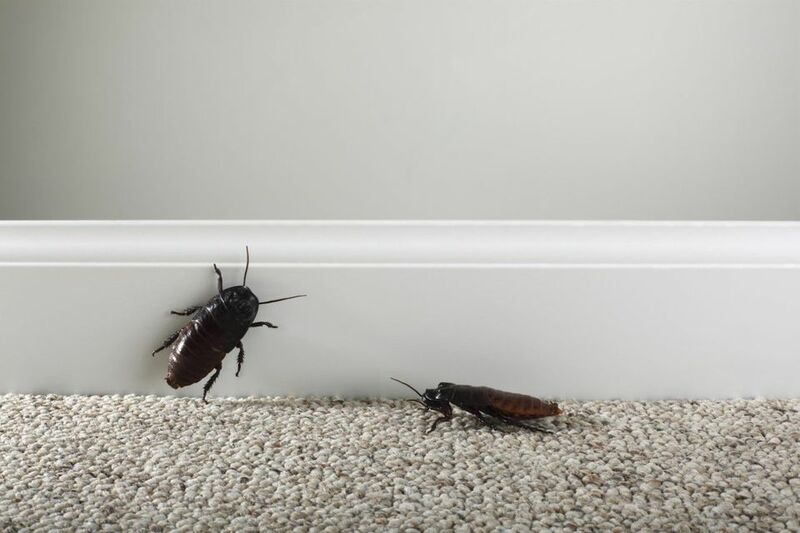 Apply the mixture along the baseboards, in cracks, under cabinets, under sinks, and anywhere else that you've seen roaches invade your house. Reapply the mixture as needed until all the bugs are gone. If you prefer, you can put your roach killer out in little containers instead of dusting the surfaces of your home with it. That'll mean less mess and less chance of coming into contact with it. Roaches consume the mixture because they are attracted to the sugar. Once consumed, the borax damages both their digestive system and their outer skeleton, resulting in death. This works very much like the boric acid found in commercial pest control products, but it costs a lot less. There are several upsides to using this borax mixture to kill roaches. It's inexpensive, free of fumes, environmentally friendly, and fast-acting. And of course, you won't end up with a big bill from the pest control folks. Here's where to find borax, how to store it, and more tips on using this mixture to kill roaches. You can also mix the borax with syrup or jelly. Obviously, you'll want to put your roach killer in some sort of container if you do. Borax (sold under the name 20 Mule Team Borax) can be found in the laundry aisle at many grocery and big-box stores since it is most commonly used as a laundry booster. You might also find it at the hardware store. Store any unused portions in an air-tight container to maintain freshness. Be sure to label it so you don't forget what's inside or confuse it with something else. Depending on the size of the infestation, it might take a couple of weeks before you notice a significant decline in the population. Borax loses some of its effectiveness when it gets wet, so replace it as needed. This same mixture can also be used to kill ants. You should keep this mixture away from children, pets, and food prep areas. Only bait areas that your family and pets won't come into contact with. Wear a mask when you apply the mixture and avoid inhaling it at all times.